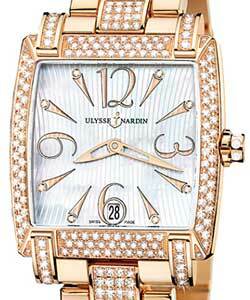 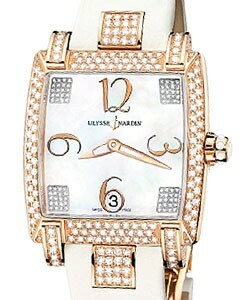 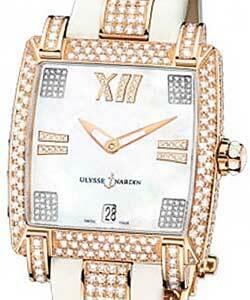 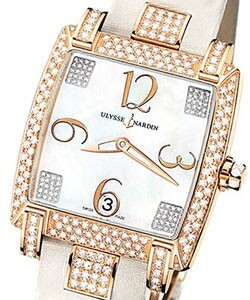 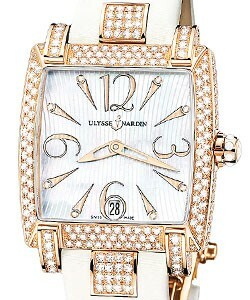 This Ulysse Nardin Caprice with Diamond Case Rose Gold on Strap with Black Dial includes automatic movement. 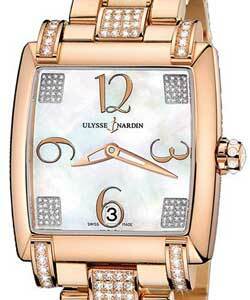 The 18KT rose gold case is 34 x 35.44mm and is beautiful. 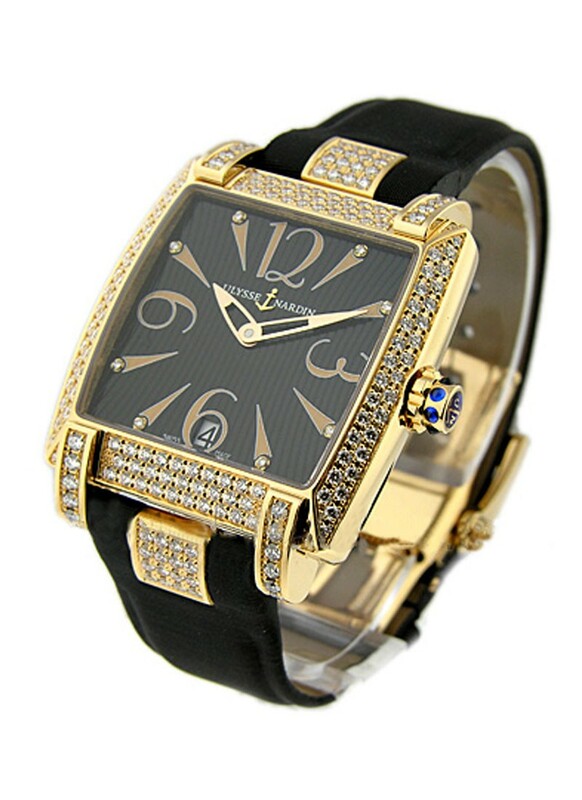 The black dial and black strap are so elegant. 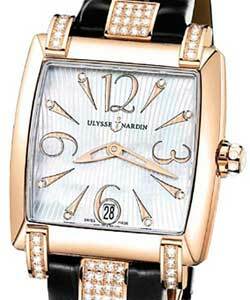 The Ulysse Nardin Caprice with Diamond Case Rose Gold on Strap with Black Dial is a perfect watch to add to a collection.